Meeting and assistance on arrival at the airport and transfer to hotel. Morning sightseeing of New Delhi, visit the 12th century Qutab Minar, gracefully hand-carved for its entire height of 234ft, and the iron pillar, which has withstood the ravages of time and not rusted even after 1500 years, the mausoleum of emperor Humayun's, the imposing modern Lakshmi Narayan temple, Gandhi Smriti. Drive past India Gate (memorial to the Indian army soldiers who died in the World War I) the Rashtrapati Bhavan (formerly the viceroy's residence) and the Parliament House. Afternoon sightseeing of old Delhi, Drive past the Red Fort - a marvel in red sandstone, the Raj Ghat, - memorial to Mahatma Gandhi, the Jama Masjid - the largest mosque in India. Spend some time in Chandni Chowk to savour the ambience of an oriental, crowded bazaar. Morning drive to Jaipur. On arrival check in to hotel. Evening witness and participate in an evening `Aarti’ prayer ritual ceremony) at Birla Mandir. Morning visit of Amber Fort with Elephant ride. Amber is a classic, romantic Rajasthani Fort Palace. The rugged, time-ravaged walls of the Fort may not look beautiful from the outside, but the interior is a virtual paradise. Miniatures painted on the walls depict hunting and war scenes, apart from festivals. Precious stones and mirrors are embedded into the plaster. Inside the Fort visit the Jag Mandir or the Hall of Victory. Inside the Jag Mandir is the famed Sheesh Mahal - a room with all the four walls and ceiling completely embedded with glittering mirror pieces, which were specially imported from Belgium during that period. Enroute to Amber Fort, you will have a brief photography stop at Hawa Mahal - the Palace of Winds. Afternoon city tour begins with a visit to the Maharaja's City Palace, the former Royal residence, part of it converted into a museum. A small portion is still used by the Royal family of Jaipur. Built in the style of a fortified campus, the palace covers almost one-seventh in area of the city. One of the major attractions in the museum is the portion known as Armoury Museum housing an impressive array of weaponry-pistols, blunderbusses, flintlocks, swords, rifles and daggers. The royal families of Jaipur once used most of these weapons. Later visit the Jantar Mantar, which is the largest stone and marble crafted observatory in the world. Situated near the gate of the city palace, the observatory has 17 large instruments, many of them still in working condition. Morning drive to Agra en route visiting Fatehpur Sikri. Located 40 Km from Agra, the deserted city of Fatehpur Sikri was built by Emperor Akbar in 1569, in honor of the great Saint Sheikh Salim Christi who blessed Akbar and prophesied the birth of three sons to the heir less Emperor. Akbar used Fatehpur Sikri as his capital and the city was fully occupied for 14 years but slowly became deserted and ruined after Akbar left the city. Scarcity of water was the prime factor for the abandonment of this beautiful city. Visit the remarkably well-preserved, graceful buildings within the 'Ghost City' including the Jama Masjid, tomb of Salim Christi, Panch Mahal Palace and other palaces that speak of the grandeur and splendor of the Mughal empire at the height of its power. After visit continue drive to Agra. On arrival check in to hotel. Afternoon visit Taj Mahal. Visit the world famous Taj Mahal built by Shah Jahan in 1560 in memory of his queen Mumtaz Mahal to enshrine her mortal remains. This architectural marvel is a perfectly proportioned masterpiece fashioned from white marble that stands testimony to the skill of 20,000 craftsmen brought together from Persia, Turkey, France and Italy and who took 17 years to complete this 'Love Poem in Marble'. (Friday closed). Later visit the Agra fort containing the halls private and public audiences and other palaces. Shah Jahan spent years of confinement at the hands of his son Aurangzeb, looking wistfully at the Taj Mahal from the Fort. Morning transfer to railway station to connect Shatabdi Express for Jhansi. On arrival drive to Khajuraho enroute visiting Orchha. Orchha's grandeur has been captured in stone, frozen in time, a rich legacy of the ages. For this medieval city, the hand of time has rested and the palaces and the temples built by its Bundela rulers in the 16th and 17th century retain much of their pristine perfection. 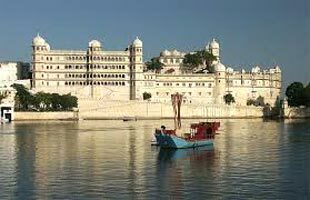 Jehangir Mahal, a tiered palace crowned by graceful Chhatries, commands a spectacular view of soaring temple-spires and cenotaphs. After visit drive to Khajuraho. On arrival check in to hotel. early Morning sightseeing of eastern and western group of temples. Visit the Western Group of temples, the most important temple being the Kandariya Mahadeo Temple-dedicated to Lord Shiva. It is one of the largest and most typical of the Khajuraho temples. Visit the Chaunsat Yogini Jain Temple -dedicated to the 64 "Yoginis" or attendants of Goddess Kali. This temple stands apart from the rest. Also seethe Chitragupta or Bharatji Temple with a lovely sculpture of Lord Vishnu in his 11-headed form. The sculptures that adorn the temples, carved in stone depict gods, goddesses and amorous couples. Later In time transfer to the airport to connect the flight 9W 724 (1355 - 1445 hrs) for Varanasi. Evening tour to downtown area in a rickshaw. Experience Varanasi intimately when you go on a leisurely rickshaw, ride through the narrow streets and alleys of Varanasi. In the evening the Ghats and temples are lit with oil-lamp lights or candles. Participate in an Aarti Ceremony (collective prayer) and watch the floating Diyas (lamps) on the river Ganges. Early morning boat cruise on river Ganges The western banks of Ganges has a string of Ghats - the chain of stone steps, all built with pavilions, palaces and terraces, most of which are mainly used as Dharamsalas where the pilgrims stay during their visit to the holy city. At dawn, the Ghats are abuzz with activity of the devotees performing their ablutions in the river or offering prayers to the rising sun and performing other religious rituals. A boat ride along the Ghats gives you vantage views of this activity. The sunrise on the Ganges is a soul-lifting experience. In time transfer to the airport to connect flight for Kathmandu. Meeting, assistance on arrival and transfer to hotel RADISSON. Morning sightseeing tour of Kathmandu city and Swayambhunath. 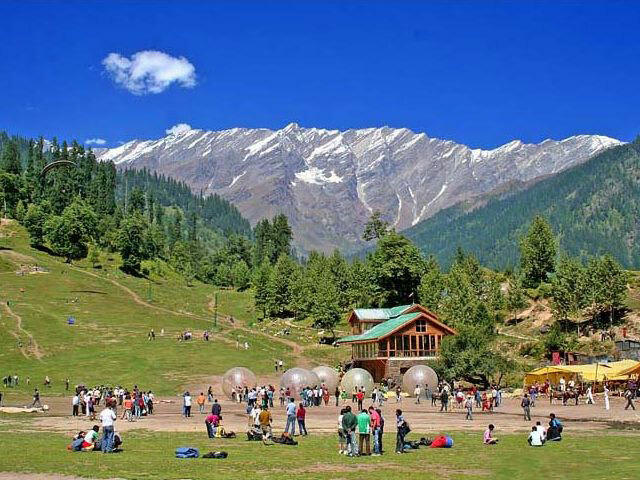 Visit residential quarter, Mahadev and Parvati Temple, Machhender Bahl-holy place for the Buddhists and Hindus, Temple House of Kmari, the vestal virgin or the living goddess. Visit Swayambhunath, a 2500-year old site where, it is believed, the Radiant Lotus of the valley-mythology, settled when the water was drained by Manjushri, the god of Wisdom. The 5 Dhyani Buddha's attended by their consorts are enshrined at the base of the Stupa. 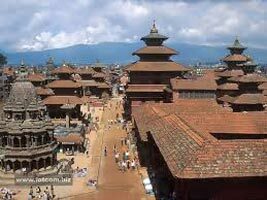 Afternoon Sightseeing tours to city of fine arts Patan and handicraft center. Morning excursion to Bhadgaon, Bodhnath and Pashupatinath. Bhadgaon - another Newar city founded in the 9th century. 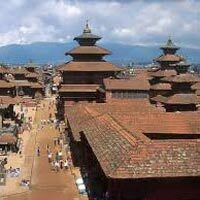 Visit the ancient Gateway, Durbar Square the Royal Residential Quarter of Bhupendra Malla, the famous five-storeyed temple of Nytapole in pagoda-style and other temples. Later, visit Bodhnath, the 2500-year old Buddhist Stupa, - a holy place for Buddhist pilgrims from Tibet. Also visit Pashupatinath where Shiva is worshipped in the form of lingam. (Only Hindus are allowed inside). 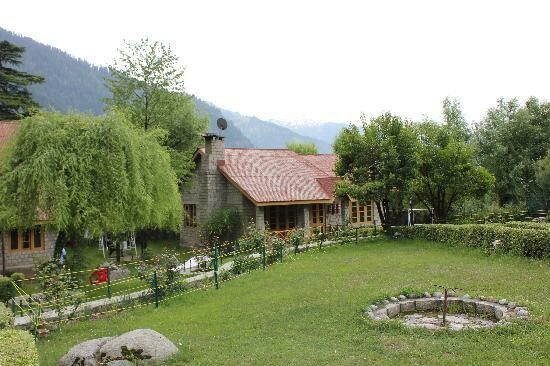 In the month of February an annual pilgrimage on the occasion of Shivaratri is organized here every year. Morning at leisure. In time transfer to the airport to connect flight 9W 261 (1545 - 1715 hrs) for Delhi. On arrival, meeting and assistance and transfer to hotel. In time departure transfer to the airport to connect flight for onwards destination. Kedarnath And Badrinath Do Dham Yatra Pack.. 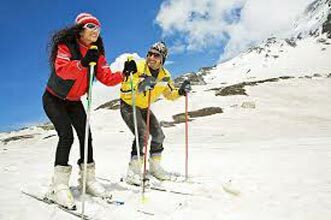 Destinations Covered : Jaipur, Mount Abu, Udaipur, Chittorgarh ..